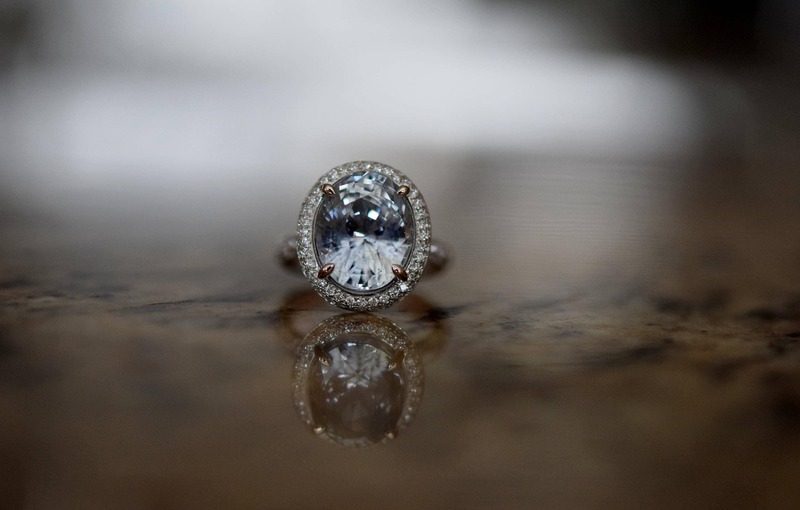 Oval Engagement Ring. 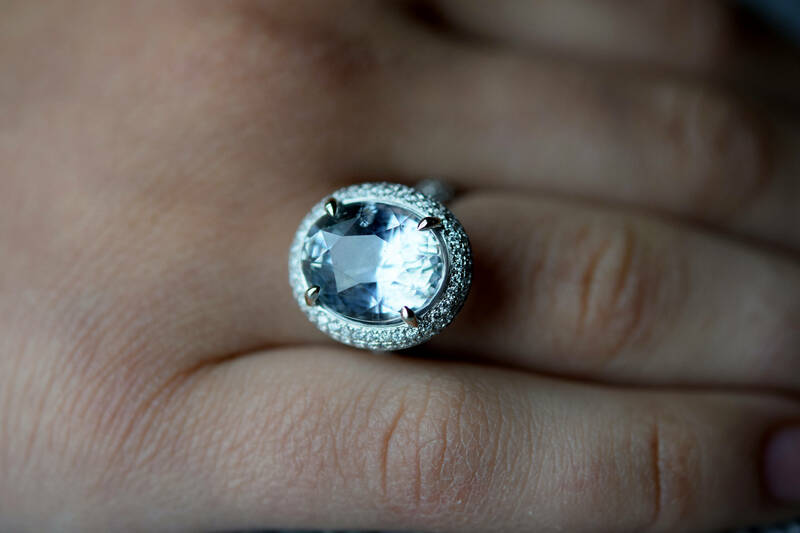 Blue Grey sapphire ring. 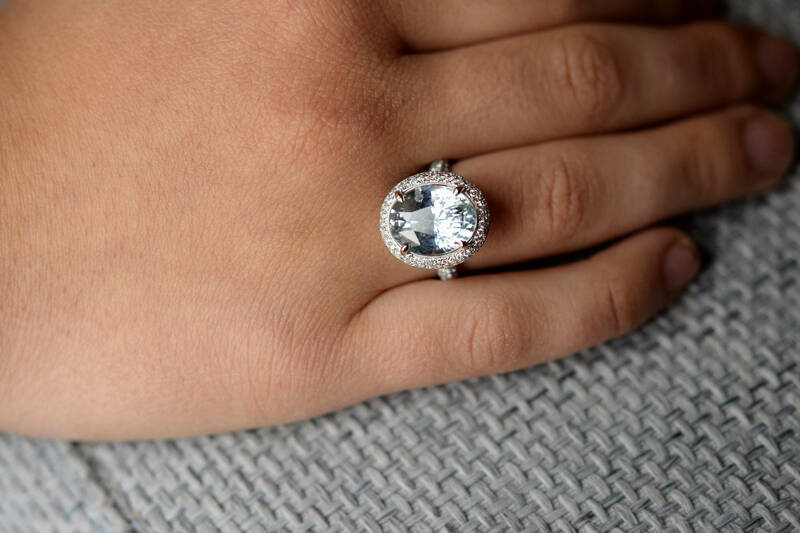 The ring features a GIA certified 9ct oval grey blue sapphire. 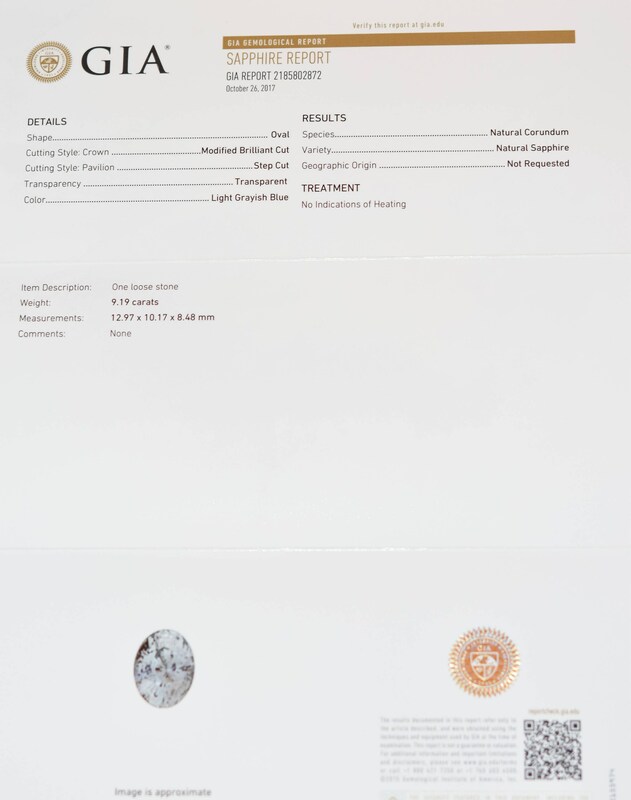 Please see GIA certificate for more info. The color is clear light blue grey, SI, really sparkling! The sapphire displays some color change under certain lightening - very intriguing and unique. 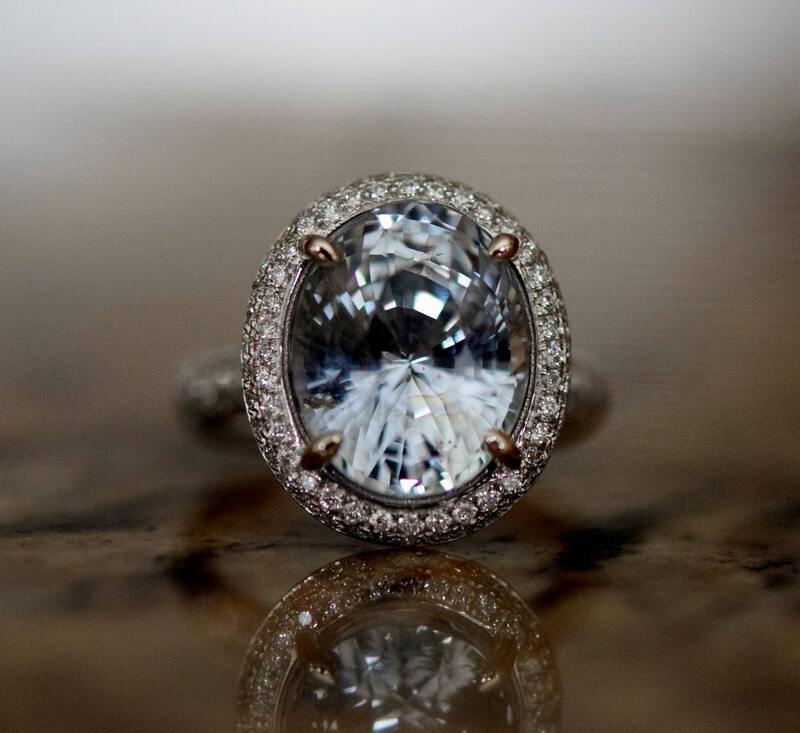 The setting is 18k White gold, SI/H diamonds, TDW 1ct. Ready to ship in sz6. 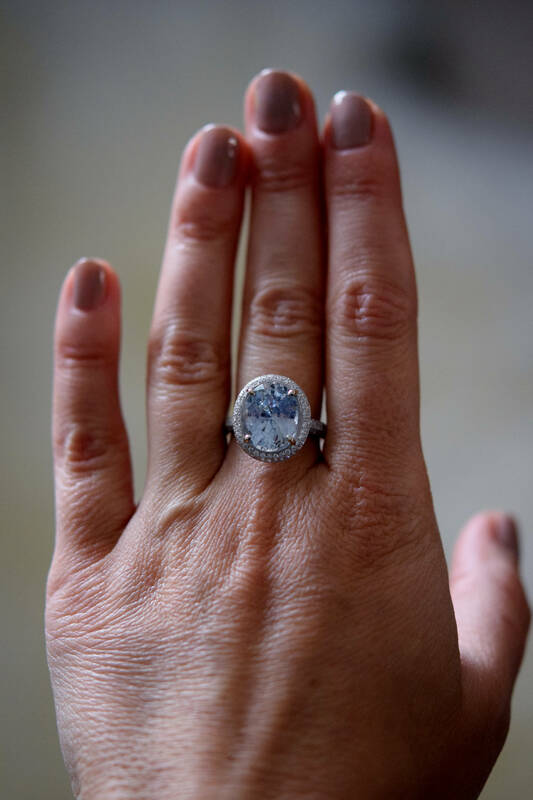 Please contact me if you`d like to customize this ring with Rose Gold, Yellow Gold or Platinum or have it made with a different Center stone or setting. 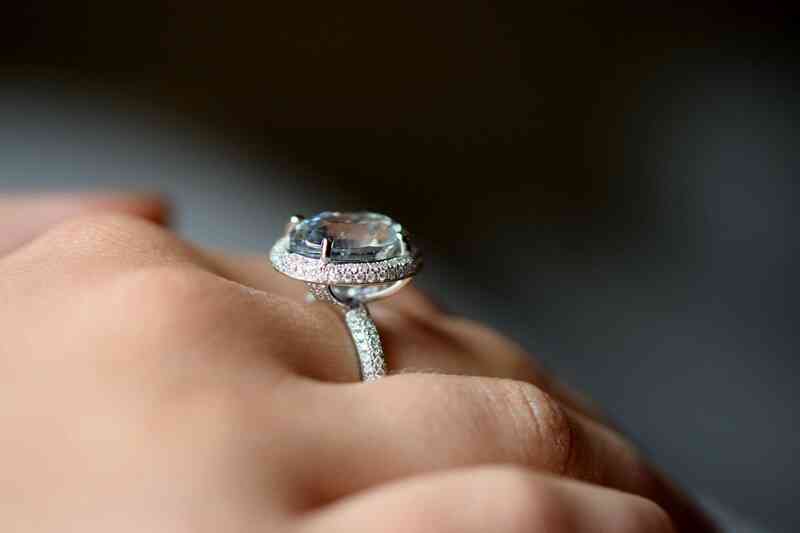 An amazing ring. 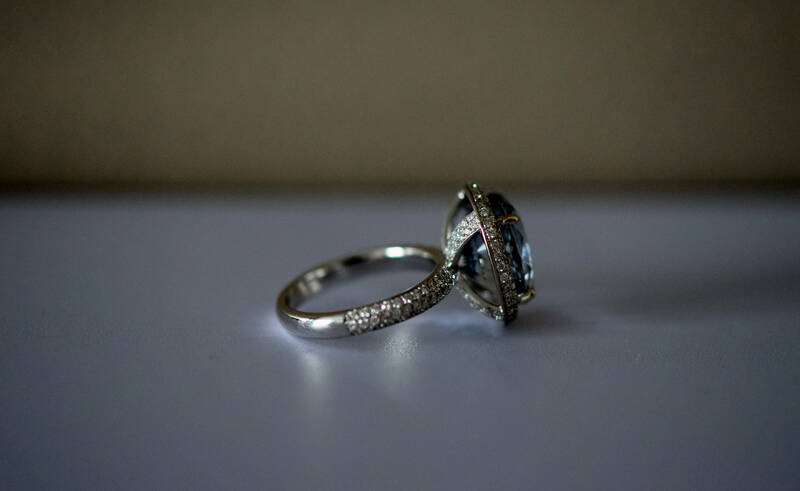 I could not have found a more perfect ring for her. We love it. Thank you so much.